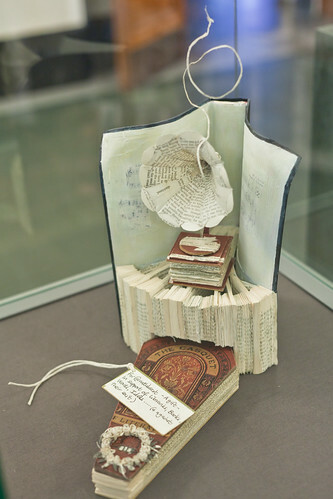 Although slightly off the snail-mail topic, but thoroughly in line with my obsessive love for paper, books, and altered art, I’d like to pass on a link to a lovely story about a mysterious artist who, for the love of books and fantasy, created ten pieces of paper art and released them into the world for us to enjoy. Check it out here. One of the pieces is below. Beautiful! And thanks, again, to Allison for the link! This was amazing! And it makes me want to read Ian Rankin. I know! I definitely piqued my interest, too!